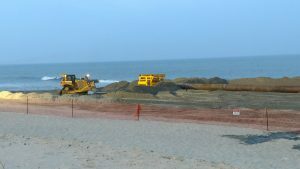 Pictures from the beach this evening are below. 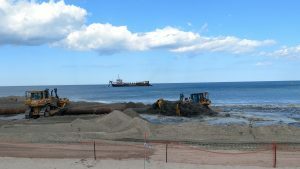 The beach south of 7th Ave. to Seaside Heights is complete. 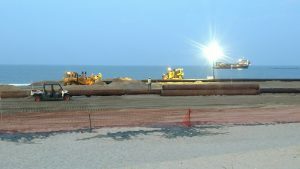 Work is now progressing near 3rd Ave and the work will probably be completed late this week. 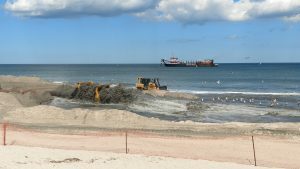 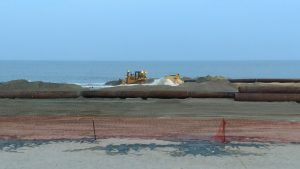 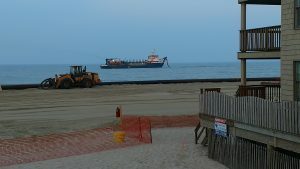 The additional work for the new larger and higher dunes and wider beach will commence sometime in the fall. 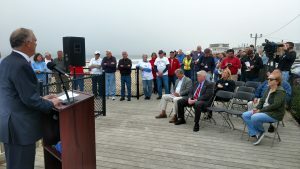 Officers of OBVTA participated in the NJ DEP Press conference last week on our boardwalk to officially announce start of this critically important project. 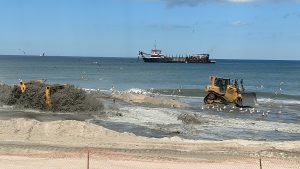 Pictures of the event, of the ongoing project over the weekend and links to recent news articles are below.